Captain's pick Sergio Garcia won his match 2&1 on the 17th against Rickie Fowler and looked to the sky before being overcome with emotion, hugging wife Angela. "I don't usually cry but today I couldn't help it. 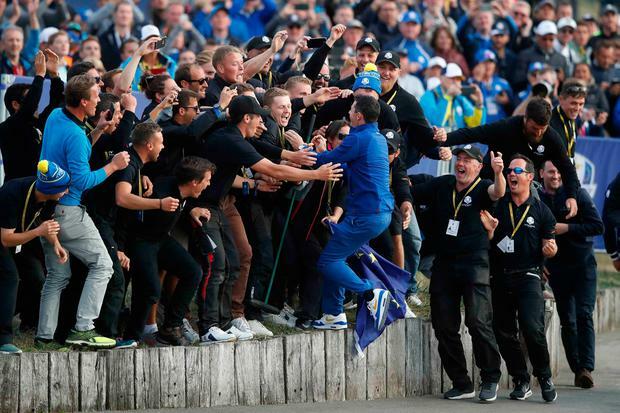 What a week," said Garcia after Europe secured the Ryder Cup. Fellow Spaniard Jon Rahm was equally emotional after beating Tiger Woods. Rahm's win meant Woods failed to register a point from four matches this week and left Europe needing just two more points for victory. "There is a lot going on for me right now - the memory of Seve (Ballesteros) and my grandpa, who would have loved to be here, who passed away at the USPGA," said Rahm. "To beat Tiger, one of the all time greats, if not the greatest, on the Sunday, at a pivotal point, it is the best feeling of my life. 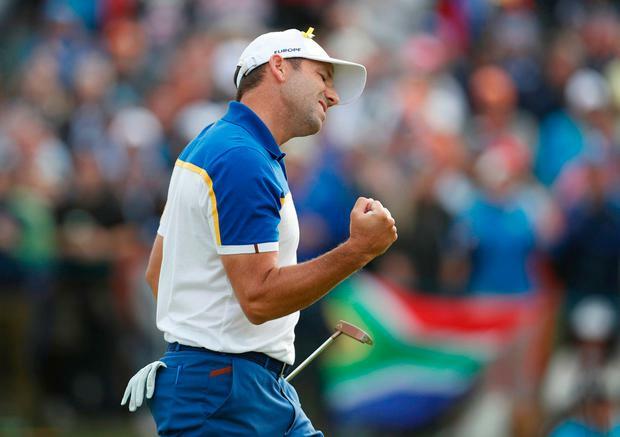 "Apart from what happened (missing a short putt at 16), I was one up going down 17. All the pressure was on Tiger. It was a really good redemption feeling to make that putt after 16."